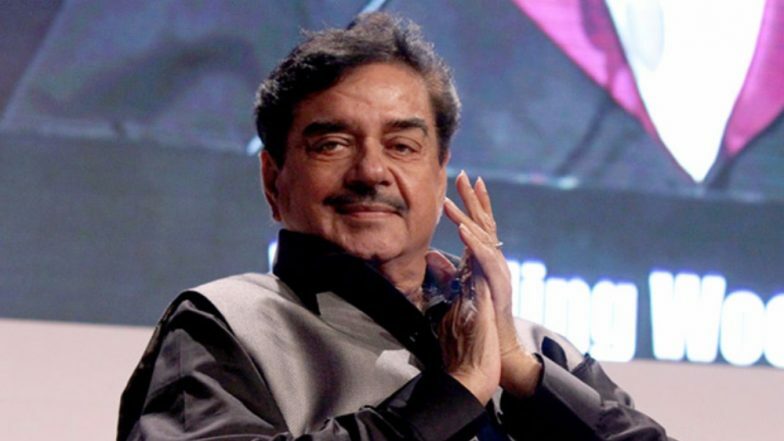 Patna, March 20: With the tiff between BJP and sitting parliamentarian Shatrughan Sinha from Patna Sahib growing strong ahead of the Lok Sabha elections, it is reported that the rebel leader would contest the upcoming the polls on Congress ticket. Meanwhile, BJP is most likely to replace Sinha with Union Minister Ravi Shankar Prasad. Earlier, Sinha has said that he would announce his decision on March 22, from which party he would contest the Lok Sabha elections. It is to be known that LJD chief Sharad Yadav and Rashtriya Janata Dal leader Tejashwi Yadav on Wednesday have announced that seat-sharing between the parties of the grand alliance would be made after Holi. Shatrughan Sinha to Reveal on March 22 Which Party He is Joining, Confirms BJP Exit Before Lok Sabha Elections 2019. Shatrughan is a popular leader in Patna and has declared that he would contest from Patna Sahib, irrespective of the party he is contesting for. The Lok Sabha elections would take place in seven phases – April 11, 18, 23, 29 and May 6, 12, 19. The results would be declared on May 23.